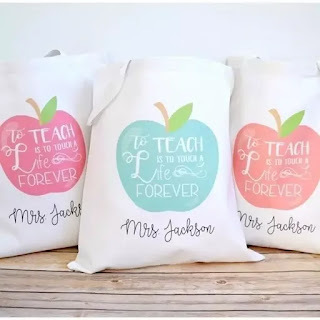 Check out these Personalized Teacher Totes for ONLY $8.95 (Retail $18.95)! Our Personalized Teacher Totes will make a thoughtful gift for your child's teacher this year. What a great idea to use as a personalized gift bag filled with school supplies from the whole class!